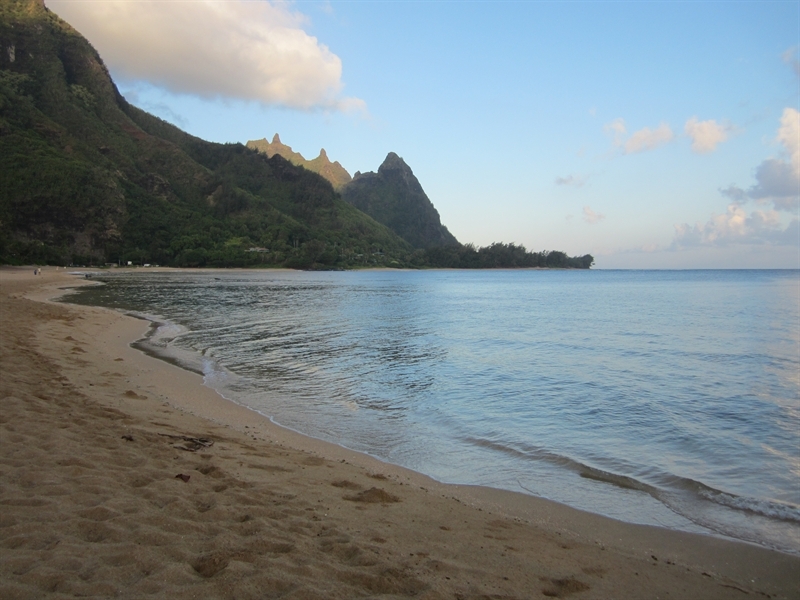 This beach is small and relativity hidden along the highway at the very end of Hanalei Bay, can be the perfect spot in the summer for those looking for a tranquil place to sunbathe. Getting to the beach from the highway is a little tricky because you have to climb down an embankment. There’s a winter time surf break you may find a surf break just off the reefs. Beware as it’s known to be larger and rougher than other nearby surf breaks. Even though Waikoko Beach is accessible from the highway it’s rarely crowded. One reason for this is that the swimming conditions are very poor. The water is too choppy on most days because of too much wave action, and the nearshore ocean bottom is shallow. However, there is plenty of shade on the beach, so itâ€™s a nice spot for a picnic. Parking is limited to a few spots along the road, and because it is such a steep climb down to the beach, it’s not easy to cart much along with you as you scramble down. This beach has a unique shallow lagoon, with rocks. When conditions are good it can be a nice peaceful place for kids to play. It’s rarely crowded due to access and parking. Hello! 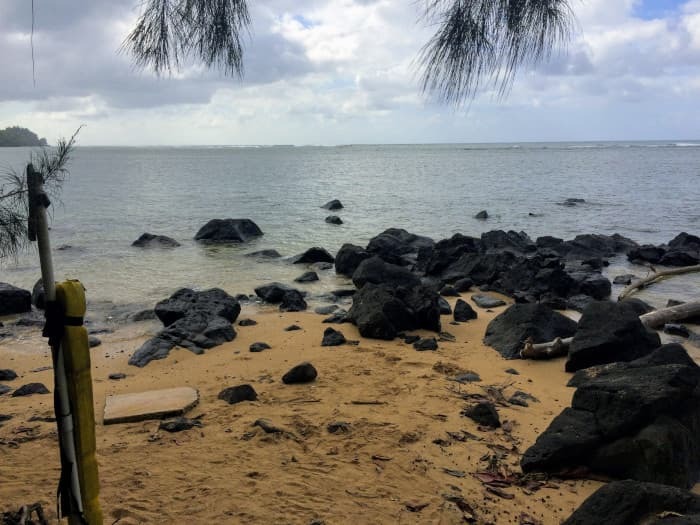 I'm interested in the Waikoko Beach property, with the URL https://www.kauaibeachscoop.com/listing/waikoko-beach/ and I'd like to be contacted for more details. Your Phone Your Email Captcha: 9 * 2 = ? © 2019 Kauai Beaches. All rights reserved.